On average firms get 1.5X revenue to marketing spend. this is just one great piece of information shared in this podcast. In this podcast, Fabian Eckstrom-French from Bizible shares that word of mouth, SEO, and email marketing tend to be the most effective marketing methods for businesses. Read this article or listen to the podcast to learn the most effective marketing for five specific industries. In addition, he explains why the best marketing attribution model is often a custom model or full path marketing attribution model. Profitworks provides marketing services specializing in Search Engine Optimization, which is one of the highest average ROI marketing mediums available to any business. If you're interested in giving your website a boost, click here to get in contact with us today! Click the link below to listen to the podcast. It is 36:45 long. Below you can find the exact start time of each part of the discussion. Source Of Data: Marketing attribution model data from over 250 Bizible customers plus 100 additional businesses for a total of over 350 businesses. In addition to looking at the best overall marketing methods, in the podcast we also discussed what are reported as the single best marketing method by industry. Again when we say best, we mean the marketing method that has the best return on investment, is the most effective and generates the most sales on average for that industry. Fabian says that the median they have found is 1.5X marketing ROI. In other words, most companies experience that every $1.00 they spend on marketing on average generates $1.50 in revenue. Marketing spend ROI (return on investment) can be calculated as additional profit generated from the marketing spend divided by the marketing spend amount. The formula to calculate this is the below. If you understand which marketing channels are effective and which are not, you can significantly increase your marketing spend ROI. By knowing what is working and what is not you can cut back or even stop the marketing efforts that are getting low returns and invest that money in the channels that are getting the best returns. In order to do this, you need to know which channels are driving which revenues. To know that, you need marketing attribution tools and a system that captures this data as part of your sales & marketing process. To learn more, click here. He also suggests that they have seen the greatest results from using account-based marketing. Account-based marketing (ABM), also known as key account marketing, is a strategic approach to business marketing in which an organization considers and communicates with individual prospects or customer accounts as markets. This is instead of doing mass marketing to an entire market or large list of contacts. The components that they include in their account based strategy are Linkedin messages, sending emails to account contacts, inviting contacts to events, inviting account contacts to webinars, and placing phone calls to account contacts. A marketing attribution model is simply how to attribute revenue to the various marketing channels you employ. The reason you want to attribute revenue to your marketing channels is to determine what kind of a return on investment you are getting from those channels. If you have data on which revenue and profit are derived from which marketing channels and the cost of those marketing channels it becomes very easy to calculate how much revenue or profit you generate for each dollar you spend on that marketing channel. There are a number of different marketing channels used by businesses. Chances are you already use a marketing attribution model even if you don't know what they are. Most likely you are using either a first touch, lead created or last touch model. Below we outline all of the different models and what the recommended model is. In the podcast Fabian also goes into more detail explaining the pros and cons of each marketing promotion attribution model. To learn more about attribution marketing, read this 101 marketing attribution download. The custom attribution model that is usually the best but it is also the most sophisticated. He also suggested that a good second choice is the full path marketing attribution model as it will help you understand what channels are working best at the top of your sales funnel as well as the bottom of the sales funnel. Fabian stresses though that it really varies company by company and it is best to review which attribution model is best for your business instead of just choosing a custom model or a full path model. The best way to decide what attribution model to use is to consult with your marketing analytics provider, your marketing agency, or someone else who has experience with marketing attribution model selection. The first touch attribution model gives 100% of the credit to the first marketing contact with the prospect. Because it gives all the credit on the basis of a single touchpoint, it will naturally overemphasize a single part of the funnel. In this case, the first touch model overemphasizes the top-of-the-funnel marketing channels that drive awareness. The lead created model can often be confused with the first touch model. That’s because in a marketing analytics system built around lead generation, like a marketing automation platform, the website session where the lead was created is the first session where data is tracked and measured. In systems like this, if the true first touch was anonymous (read: the visitor didn’t fill out a lead form), it’s like it didn’t exist. 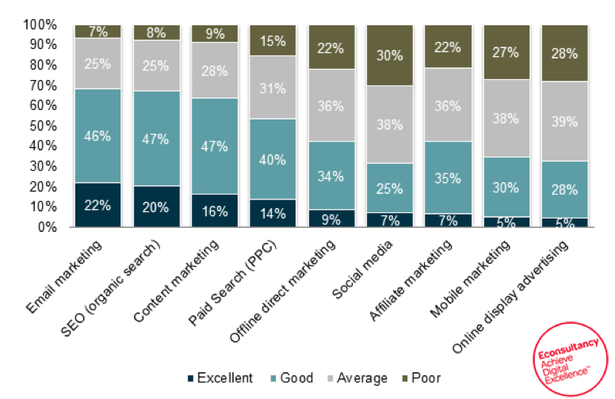 The benefit of the lead created model is that it helps you understand what marketing channels drive lead conversions. This is important, but it’s also just a small part of the total customer journey. In a long B2B customer journey, there is a lot more to marketing than just the lead creation and giving 100% of the total credit to just the lead conversion oversimplifies marketing’s role in the customer journey. In the last touch attribution model, the last touchpoint would receive 100% of the credit for the sale. For example, let us say a prospect first went to the company website, then watched a youtube video and then finally booked a proposal call and bought after receiving a direct mail piece. In this example, the direct mail channel would receive 100% of the attribution. 40% of the credit is applied to both the first touch and the last touch with the remaining 20% being applied evenly to all other touches. This is best used when your goal is to drive awareness and also action, such as in companies with longer sales and marketing cycles. Unlike first touch attribution, lead creation, last-click attribution, or even U-shaped attribution, W-shaped attribution accounts for the importance of marketing activities that take place after a lead is created, such as lead nurturing. W-shaped attribution is the marketing revenue attribution model where 30% of the credit goes to the first click, 30% goes to the click that created the lead conversion, and 30% goes to the click that created the opportunity. The remaining 10% is applied to all other touches. Across these four key funnel stages, 22.5% of the credit is distributed across the main conversion touchpoints, and the remaining 10% is evenly distributed across the touchpoints in between. This model is of particular interest for account-based marketers who want to see marketing activity down the entire funnel. Most of the credit is applied to the touches that most recently drove the desired action. This is typically used when you want ongoing contact, but are looking for a final action, such as a sale, such as for companies with a VERY short sales cycle, like e-commerce where there is an immediate revenue-generating call to action. This model uses custom weighting for the different touches as set by your organization. This could be based on cost or effort, time, or a host of other factors, such as position (weight the first and last touch higher). Custom algorithms are only best if you know exactly how to want to attribute your marketing efforts or if you get the assistance of an expert like the staff at Bizible. Marketing attribution is important so that you can track the impact of your marketing efforts and not just track the activities of your marketing efforts. Marketing attribution is important so that you can match your marketing efforts to revenue generated. Watch the video below to learn more. Do you feel you should have more traffic to your website but you don't? Download our free report to learn 7 tasks you must do to increase traffic to your website - all of the tasks are things anyone can do. The report outlines the 7 tasks in easy to understand language. The report includes the 7 tasks, an explanation of why SEO is important, what affects SEO rankings, an explanation of the difference between SEO and paid search engine advertising, and why SEO is better than paid search engine advertising. To learn more about SEO in general, read our SEO 101 article. Profitworks Small Business Services provides marketing services specializing in SEO and website conversion optimization services. Our services increase the number of sales generated from a website. The focus of our services is on increasing sales and providing a positive return on investment. To learn more about Profitworks, click here.